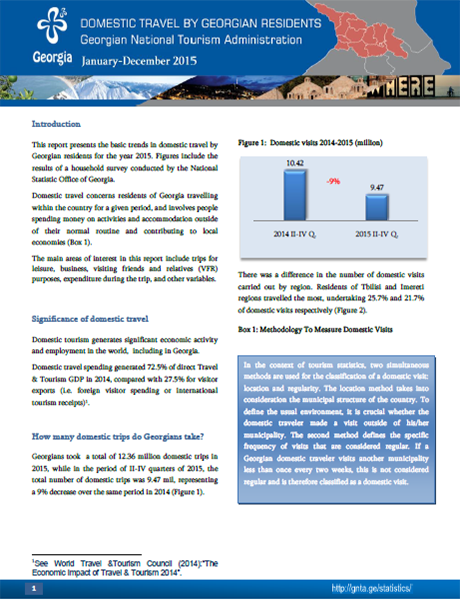 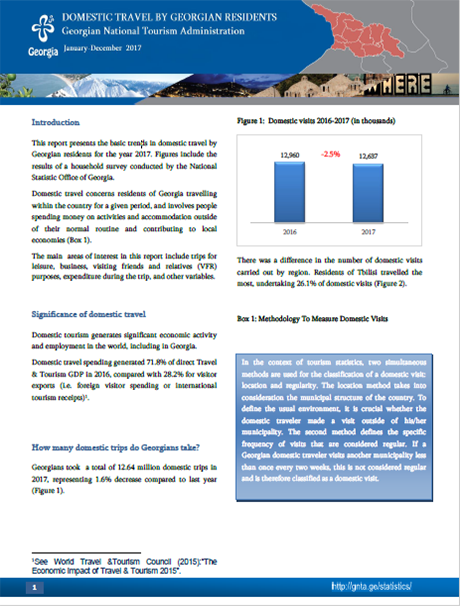 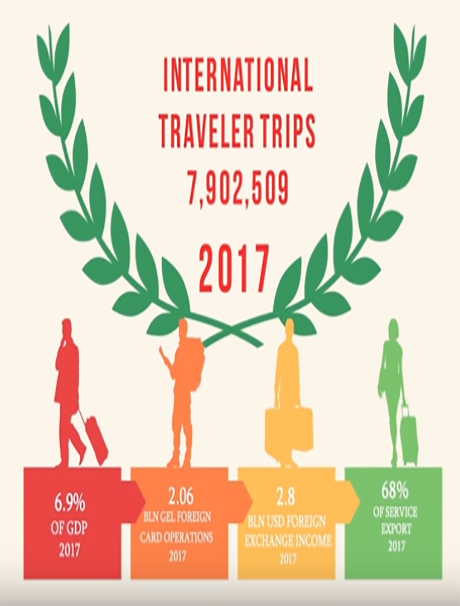 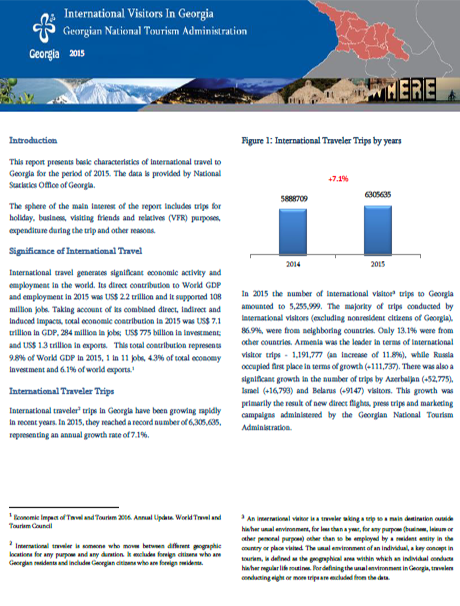 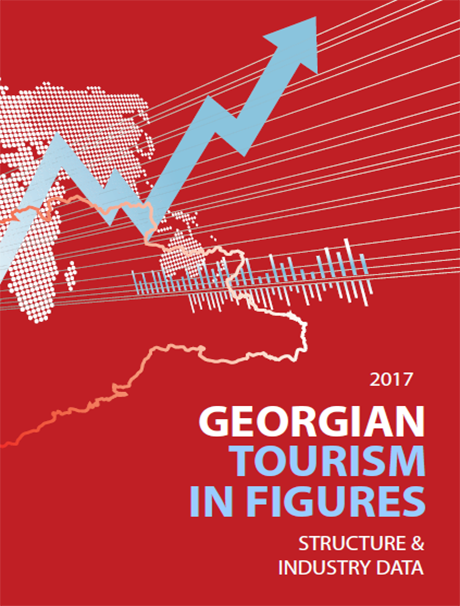 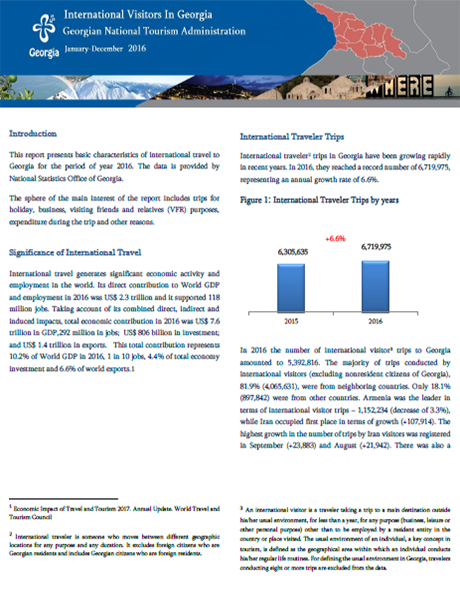 This report presents basic characteristics of international travel to Georgia for the period of year 2017. 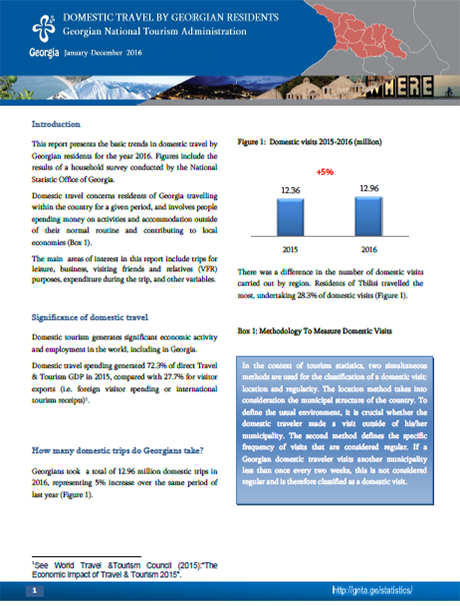 The data is provided by National Statistics Office of Georgia. 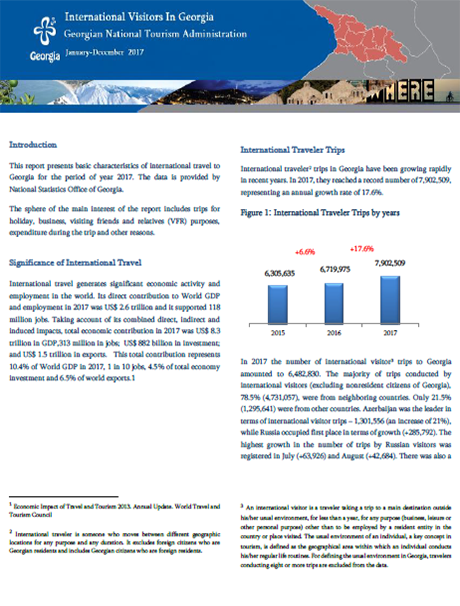 The sphere of the main interest of the report includes trips for holiday, business, visiting friends and relatives (VFR) purposes, expenditure during the trip and other reasons.